On August 4th, 2011, the U.S. Consumer Product Safety Commission, in cooperation with Target stores, announced a voluntary recall of their wooden step stools due to a fall hazard. These wooden step stools can break apart or collapse under the weight of the user, posing a fall hazard. As of August 4th, 2011, Target has received 26 reports of these step stools breaking down or collapsing. Fourteen incidents involved children, seven involved adults, and five incidents where the user’s age was unknown. Two adults fractured their wrists, and of those victims, one also fractured her hip and pelvis. Additionally, six children and one adult suffered scrapes and bruising. About 206,000 of these step stools were sold at Target stores nationwide and online at Target.com from January 2007 through October 2010 for between $25 and $30. These step stools have two steps and comes in various colors, including natural, natural and red, white and honey. The Circo step stool has a lid on the bottom step that lifts to provide storage. The Do Your Room (DYR) step stool has a lid on the top step that lifts to provide storage. The step stools measure approximately 13” H x 13 5/8” W x 14 1/8” D. The Circo brand name or DYR brand name and UPC numbers are printed on a label found underneath the step stool. Consumers should immediately stop using the step stools and return them to any Target store to receive a full refund. 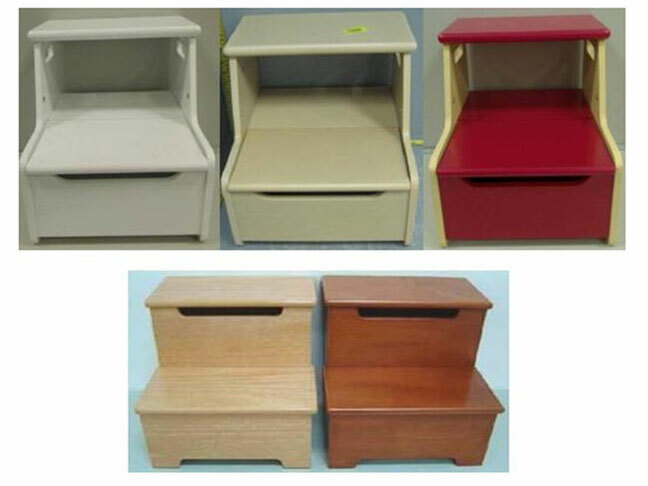 Several different models of these step stools are included in this recall and more identifying information to help identify these recalled model numbers can be found on the CPSC website or at Target’s website or by contacting Target at (800) 440-0680 between 7 a.m. and 6 p.m. CT Monday through Friday. Consumers should be aware that it is always illegal to resell or attempt to resell a recalled consumer product.